Algreen's Garden View Indoor/Outdoor Vertical Shelving System allows you to hang shelves on your Deck, Fence or Wall! The Garden View includes integrated slots for customized positioning of the Planters. Create an impactful decorative feature to enjoy anytime you look out your window or your home or garden. The Garden View can also be used indoors as a warm and decorative hanging feature just waiting for your personal touch. Includes Weather Resistant Wood Frame, 3 Planters, Slots to position Planters at different heights and Hardware for Simple Mounting on a Fence, Deck or Wall. Raised Garden Optional Enclosure (Enclosure Only) 2 ft. X 3 ft. The Eden Raised Garden Table Optional Enclosure (RGT-T23) is specifically designed for the RGT-23 or the RGB-ME. It will NOT work on any other structure. 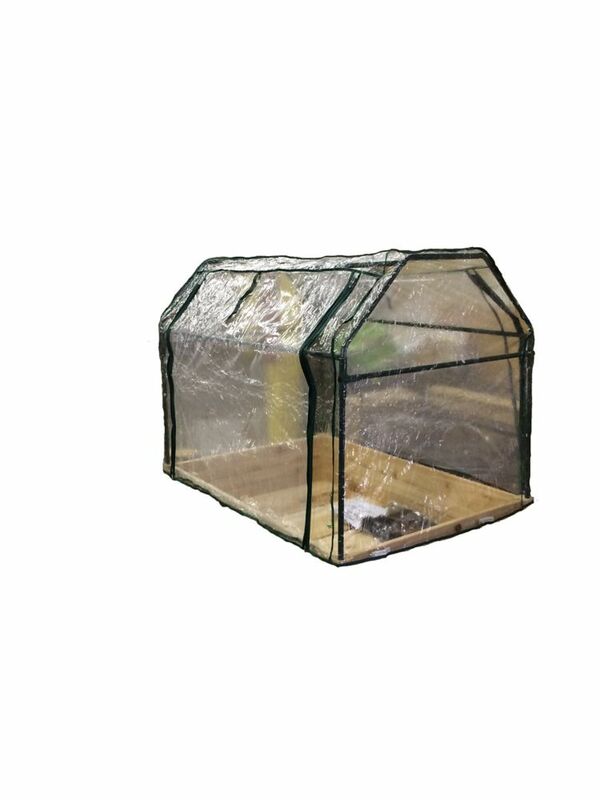 The UV protected covering with protective mesh netting to keep insects and rodent out, trap the sun's warmth while allowing air to flow within the garden. Your garden will also be protected from too much rain, wind, pets and any other animal roaming nearby. The Eden Raised Garden Table Optional Enclosure also has the ability to quickly remove the top enclosure if wanting to use the Eden as a decorative raised bed or to allow for larger vegetables or herbs to grow freely.